Be the first to share your favorite memory, photo or story of Suzanne. This memorial page is dedicated for family, friends and future generations to celebrate the life of their loved one. Our beautiful Suzanne Shepperd McIntosh passed into the arms of our Savior, Wednesday afternoon, February 6, 2019. She had been surrounded lovingly by her family as she fought courageously the cancer with which she had been stricken. Suzanne battled the way she did everything in her life, with grace, humor, and her beautiful smile and sparkling eyes lighting up the room, ready to take on whatever she is dealt. Suzanne was born to John Ben Shepperd and Mamie Strieber Shepperd as one of twin daughters, on September 2, 1948, in Longview, Texas. Her father was Attorney General of the State of Texas, and also Secretary of State prior to that. Her family lived in Gladewater, Texas when she and twin sister Marianne were born, later moving to Austin for several years, where the twins started to school. After her father’s terms of office ended, the family moved to Odessa, Texas, which would be their home for years to come, and on which the Shepperd family all made quite an impact. Suzanne was preceded in death by her father in 1990 and her mother in 2015, by her brother Johnny Shepperd, and her twin sister Marianne Shepperd Morse. She is survived by her husband Gary McIntosh, of Austin, daughters Marianne Parker (Scott) of Parker, Colorado, Lara Frankovitch (Joe) of Parker, Colorado, Miquele Dunkley (Mark) of Austin, Texas and sons Clint McCarver of Denver, Colorado, and Parker McIntosh (Kristal) and Brandon McIntosh, both of Austin, Texas. She and Gary have 11 grandchildren, Ryan Parker, Erin Parker, Trey Frankovitch, Jonah Frankovitch, Eli Frankovitch, Keaton McCarver, Caleb McIntosh, Jacob Dunkley, Garrett Dunkley, Parker Dunkley and Asher McIntosh. She is survived by her brother Al Shepperd (Honey) of San Antonio, Texas. Also many nieces, nephews, great nieces and nephews, who live in many states around the country, but all are loyal to their Texas roots. After graduating from Permian High School in Odessa, where she was a class leader in many things showing her get-things-done tenacity, she and Marianne ventured off to Austin, where they both graduated from the University of Texas at Austin. Suzanne earned a BA in both Journalism and Spanish, and accomplished the dual degree in 3 years in true Suzanne fashion. She married Larry McCarver and they began their adventures, living in Dallas, Phoenix, and Singapore before moving to Perry, Oklahoma when daughter Mari was due to be born. She had three children in Oklahoma, but they always considered themselves to still be Texans, with the traditions and impact her family had on this State, its history and its heritage. The family lived in Shawnee, Oklahoma and then in Tulsa, Oklahoma, where Suzanne became President of Adventure Travel, a company owned by the Tandy family. She was very successful in Tulsa, and still has many friends and former travel clients from her years in that state. 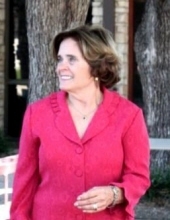 In 1990, Suzanne and her children moved to Austin, Texas, and she became the general manager of Gay Gillen Travel, a specialized travel agency. She was GM until the agency was sold. After that, she and some other agents began an affiliation with Strong Travel of Dallas. That affiliation, as the Austin office of the Virtuoso agency, continued until her passing this week. Suzanne had many clients from those years that are dear friends still today, as well as many great friends that worked with her in those agencies. She and Gary married in 1992 and had 26 ½ years together, with a blended family that really loves and cares for each other. They traveled together with friends and family, with lots of special memories. Travel was a passion for her. And there were always events and ideas of things to do, what guides to use, what special events should be undertaken, both with her family and her clients. The grandchildren all treasure their Gigi time, because she made everything special for all of them. All her grandchildren loved to hear that she was coming to see them, or they were going to Austin to see her. Their Gigi times were full of activities and focused on building fun experiences and meaningful memories. She was so dedicated to her children and grandchildren. For her, they were the reason she was here. Her children remember, that, on long car rides, she sang songs to them, teaching them the importance of musical enjoyment early on. Suzanne entertained everyone, making sure that whomever she was with had a special day, or special time. She was a very caring, considerate, loving mother and grandmother, but also as a friend to all with whom she came in contact. One of Suzanne’s favorite mantras was “I made it happen”. She didn’t pretend to be the one who did things…she just made them happen. If something needed to be done, she got involved and made it happen. She and Gary have many friends who, knowing Suzanne could get something accomplished, would call on her to help plan travel or events, knowing they would get her commitment and attention to the enjoyment and success of whatever venture was being undertaken. She wasn’t afraid to get involved in planning something for someone, for taking charge to make sure it wasn’t a stress on someone else. Charities which are listed herein, in lieu of flowers, are those that are special to Suzanne and Gary. She was involved in them, in fundraising, in giving of her time and efforts, in getting others involved. Many of those charitable endeavors came from her commitment to Covenant Presbyterian Church. Suzanne dedicated much time to Presbyterian Women and the Mo Ranch Retreat. The mission programs of PW and the Sarah Elizabeth Circle of the Church were very important to her. Her impact was felt often, and recently, even though she will be unable to attend the retreat this year, she got her part of the planning and program done ahead of time. Her commitment, in spite of the seriousness of her illness, earned her a commendation from PW for her service and dedication. In the last few years, Suzanne began playing tennis again, after taking a long time off. When she got involved again, she was committed, often playing with her special group of friends, 4 or 5 times a week. She also loved to try new restaurants, new foods, make new friends. Suzanne had a special love for a song…Old Time Rock and Roll. No matter where they were, if the song started playing, unless they were driving, they started dancing. It was the song that Gary had to request if they were somewhere with a band or DJ. And her friends and family knew, if the song came on, she was dancing! Her home was open to anyone, great nieces and nephews, kids and grandkids, friends or friends of friends. For ACL Fest, often, when her children were in college, there were stacks of kids sleeping around the house the next morning, as the home was close to Zilker Park. Suzanne would take care of everyone, and they loved the attention she’d pay to them. The family wants to thank so many special people who guided us through this traumatic time, making her comfortable to the extent possible, with special caring and nurturing for her needs. First, a special thanks to Dr John Sandbach, Dr Quan Dang and Dr Carl Nuesch, of Texas Oncology, as well as the very caring nurses and staff. They succeeded in controlling and reducing her tumors, and gave her a chance to win this battle. Every effort was made on her behalf, and it looked for a long time like we might win the war. Also, to the wondrous place called Christopher House and Hospice Austin. Dr Galusha, all the nurses and certified nurse assistants are very caring and dedicated to their patients. Her final nine days felt like Angels were caring for her. A very special place in our hearts will always be the people of Hospice Austin and its facilities. We also want to thank caregivers Anna Sandbach and Linda Kuhl, and physical therapy coach Brad Bell, for their strong commitment to Suzanne and her needs over the last several months. We couldn’t have gone down this path without each of you and we really appreciate you. And to all our CPA profession friends, with whom we laughed, cried, traveled together, watched as our children and grandchildren grew, you have made us all better. Suzanne treasured your friendships. To all our friends from our days growing up in Odessa and Permian High School, those friendships have lasted for 50 to 60 years. We couldn’t ask for better friends or people we love more. Her smile lit up when she knew she was going to see one of you again. To all our friends at Covenant Presbyterian Church and all who provided meals for our family, and special assistance in whatever way we needed, who came and visited with Suzanne, talking to her, keeping her enjoying her days as much as she could, we offer gracious thanks. And to all our friends and family who joined in that caring for us, you are special to us, and helped make this bearable. A special thanks to Pastor Jill Williams and to Beth Daniel, for coming to pray with her, read her scripture, and walk with her on her journey to the arms of our Lord. She was not afraid, because she knew where she was going when the ordeal was over. The Presbyterian Mo Ranch Assembly in Hunt, Texas; Manos de Cristo for the underprivileged in Austin, Texas; the Gladewater, Texas Library; the Mamie S Shepperd Scholarship Fund, at the John Ben Shepperd Public Leadership Institute of the University of Texas-Permian Basin, in Odessa, Texas or Cancercare.org/copayfoundation. Services, through Cook-Walden Funeral Home, will include a memorial celebration of Suzanne’s life on Monday, February 11, at 3 PM at Covenant Presbyterian Church in Austin, with a reception following. Family graveside services will be at the family homestead in Gladewater, Texas on Tuesday afternoon at 1:30 p.m.
To send flowers or a remembrance gift to the family of Suzanne Shepperd McIntosh, please visit our Tribute Store. "Email Address" would like to share the life celebration of Suzanne Shepperd McIntosh. Click on the "link" to go to share a favorite memory or leave a condolence message for the family.